There are so many ways to stream music with Spotify nowadays. Especially on Windows, where you have two separate applications (can use only one at a time) and web player. Since the beginning, Microsoft Store Spotify app had issues, while the earlier-introduced desktop version is also prone to bugs. One of those affects the song selection, where users are unable to select songs — add them to their playlists or manipulate them in any other way. 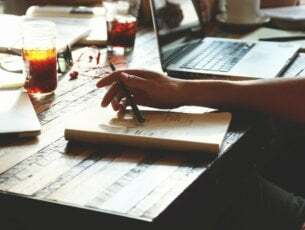 In order to address this, we prepared a list of possible solutions and a few workarounds. Make sure to try them out and tell us whether they worked for you. The first step might seem obvious but it’s still worth a try. Bugs are not rare in Spotify for Windows but they’re, most of the time, minor inconveniences. However, by re-acquiring your library data after signing in again, this bug should be a thing of the past. In addition, open Spotify in a web browser and look for its behavior. Another thing worth mentioning includes VPN. 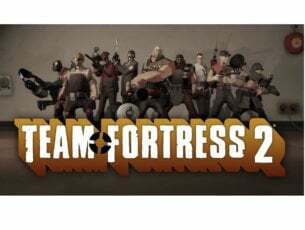 If you live in the unsupported area, try connecting through VPN and sign in again. If everything works fine, restart your PC and move with the steps we provided below. Hopefully, one of them will help you select songs without further issues. There are some advanced features, like Hardware Acceleration, which might cause occasional errors. Some users managed to address the issue at hand simply by disabling Hardware Acceleration under the Advanced options. 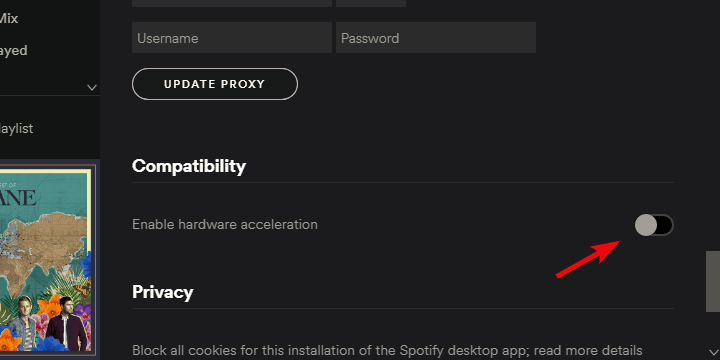 When toggled On, Hardware Acceleration will use the hardware (GPU) to speed up and optimize the performance of Spotify. If you disable it, the performance might drop marginally, but the desktop client won’t depend on possibly misconfigured hardware. Click on “∨” sign beside your Profile Title and select Settings from the drop-down menu. 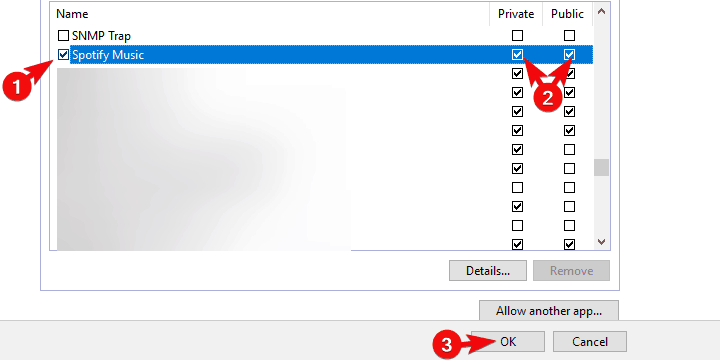 Scroll to the bottom and expand and click on the “Show advanced settings” button. 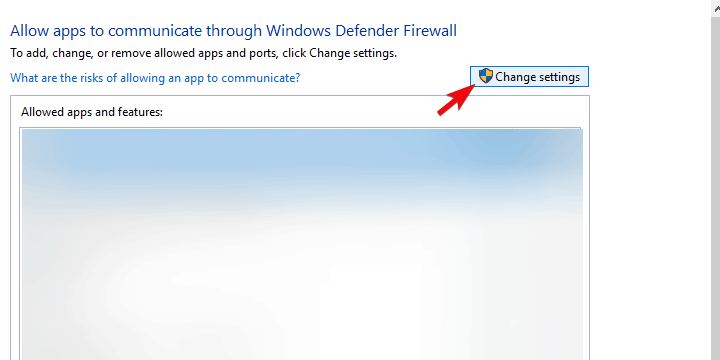 In addition, some seasoned users suggested disabling all Offline devices and re-enabling them again later on. By doing so, you might fix the bug which prevents you from selecting songs in Spotify’s library. Just navigate here and disable all devices you’ve enlisted for offline use. Making sure that you’re properly connected is of utmost importance. Yes, Spotify can work with quite slow bandwidth without any issues whatsoever. Of course, this can depend on the music quality you choose in Settings. However, it requires a stable connection. Meaning that you’ll have the best time with wired LAN cable instead of Wi-Fi. In addition, resetting your router and/or modem won’t hurt and certainly can help. 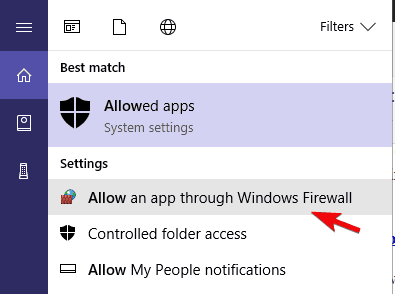 Type Allow in the Windows Search bar and open “Allow an app through Windows Firewall“. Click on the”Change settings” button. Make sure that Spotify Music is allowed to communicate to the Public and Private network. 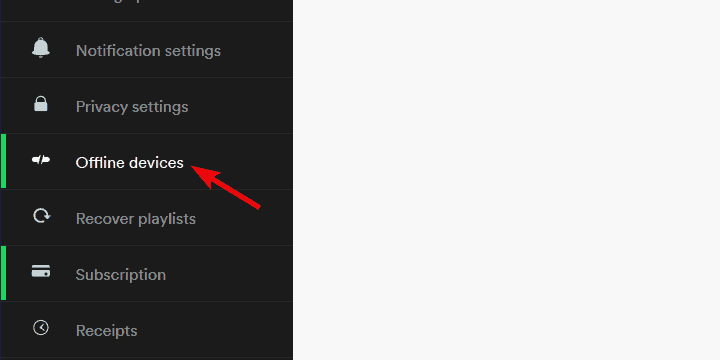 Confirm changes if needed, and look for changes within the Spotify client. 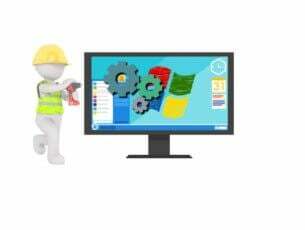 There are various things which might’ve gone awry and affected the application’s performance. Spotify is, in a general sense, not a complex application, so the convoluted troubleshooting isn’t necessary or even applicable in this case. What you can do, on the other hand, is reinstall Spotify and hope for the best. Under the Apps & features, search for Spotify. Open Microsoft Store and search for Spotify. 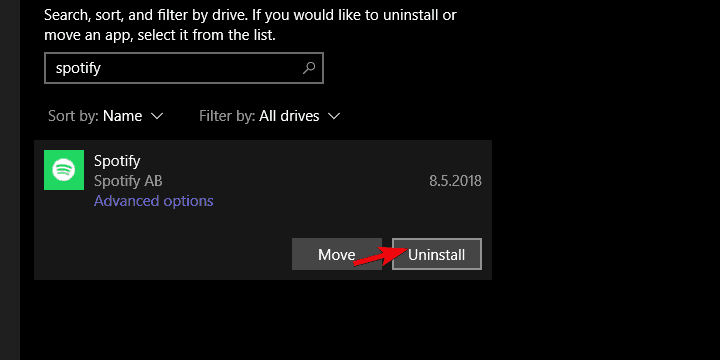 Finally, if your variation of Spotify for Windows doesn’t work, there’s always an alternative. If you’re using the standard Desktop version, make sure to give Microsoft Store’s version a try. Of course, if the UWP version, obtained through Store, fails you — download the alternative from the official site. Download installer for Spotify, here. The download process should commence immediately. Don’t forget to allow it if the browser decides it’s harmful. Run Spotify and sign in. That’s it. 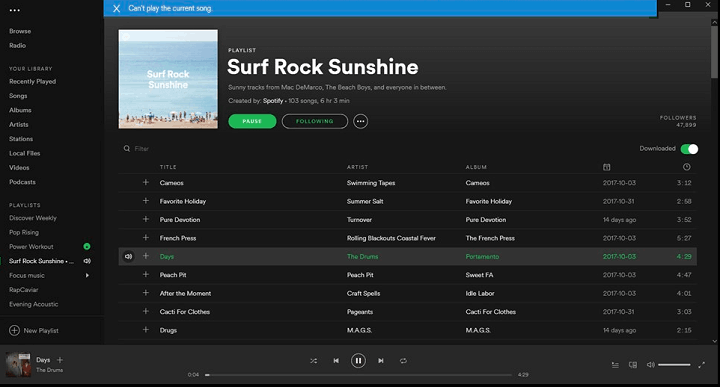 Hopefully, you were able to resolve the issue with Spotify for Windows 10. If you’re still stuck with the bug, don’t forget to send a ticket to Spotify support. And until the issue is dealt with, try web player for Spotify. Also, don’t forget to share alternative solutions in the comments section below.